the bite of the british snake? A few months back, I happened upon a blog I connected with instantly. Andi, a.k.a. The Weary Chef, is mom to two little ones and enjoys playing with her food while building her virtual empire complete with facebook page, tweets, pinterest boards, and lots of other icons I don’t know but am sure lead to great fun. She strives to put homemade meals on her table–and provides readers with the recipes for those meals–and I absolutely connect with all of that. What got me really excited, though, was her Happy Hour. Each Friday, Andi posts an original cocktail and I was enamored enough to mention it in a previous post here, pledging to recreate her Friday beverages to the best of my pantry’s ability. 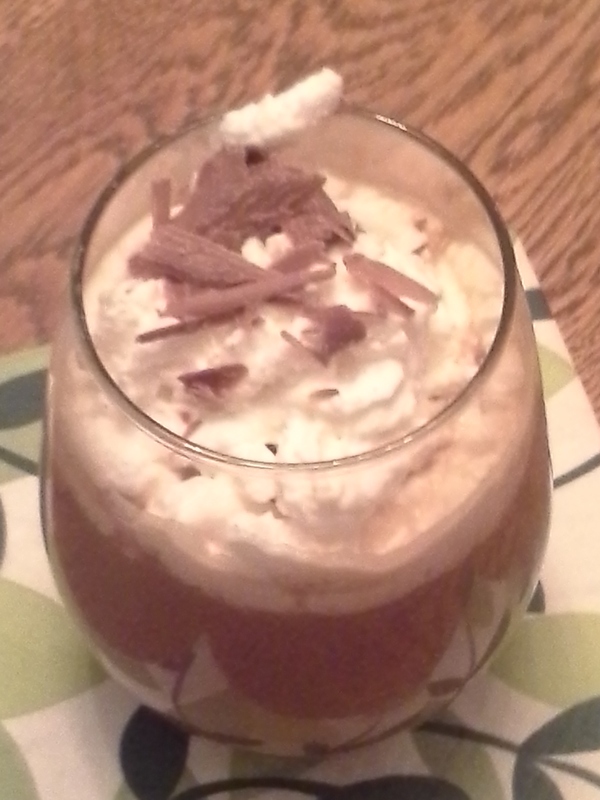 This was my first attempt to recreate Andi’s concoctions, and I was thrilled with the results. Not only did I match her ingredient for ingredient (save using whipped cream vodka instead of plain vodka, though wouldn’t do again as my drink was just a touch too sweet), but I even had a similar glass for photo. I was over-the-moon with this one as I’d just ordered it the weekend before at a fancy-pants restaurant. I’d also seen mention of this classic cocktail in one of my favorite reads: Boozehound On the Trail of the Rare, The Obscure, and the Overrated in Spirits. 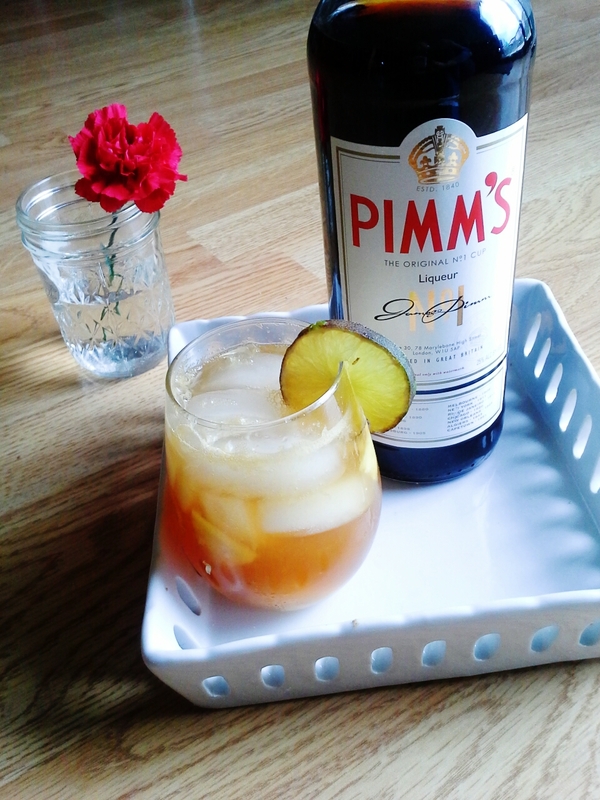 Here I matched her on all ingredients and it was a lovely drink for sure. deLizious facebook sat this one out as it was Easter weekend and my mother-in-law’s pantry is less well-stocked than my own. But being at my mother-in-law’s had other rewards, as it was she who introduced me to the pink squirrel. Here’s what we made that weekend. usually use fat-free half-and-half, but at the in-law’s it’s ice cream all the way! Seems odd that the two Happy Hours I’ve had to miss have both been sangrias, but there you have it. I was busy doing art-y like things for my girls’ school that day (not to be confused with doing real art for which I am unqualified) and also into the evening for their Art Show. Fortunately, the art-program ladies cap off their night at a local restaurant known for its Rudy-tinis. Served with a side of champagne, this drink is–in the words of a facebook commenter– “four drinks in one.” While not my beverage of choice that night, I snapped a photo and put it up on deLiz facebook so Andi would know I at least tried. Andi was especially clever with this one, taking a classic and giving it a fruity spin. And because bourbon always wins with me, I was thrilled to have an excuse to open a bottle. No pineapple on hand (though by now Andi was dropping hints via messaging that I might need certain ingredients on hand come Friday), I subbed in kiwi and used a bit of strawberry juice for the pineapple juice. I liked mine well enough, but would have also liked to have tasted her version. 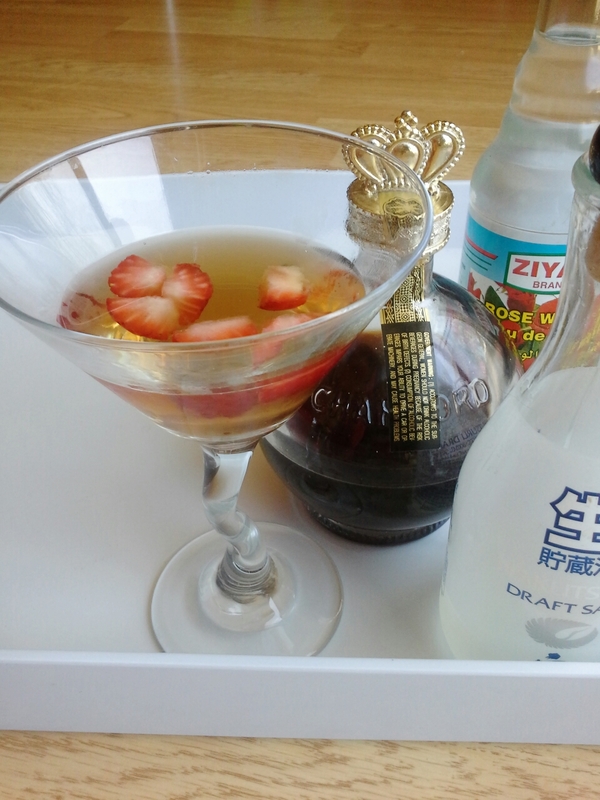 Here’s where I outdid myself: I had both sake and rose water on hand–no hint needed! (Though no canned pineapple for the previous week’s cocktail. Go figure.) This one rated “tastes like a flower!” in my comment to Andi and is a light and pretty little cocktail–think bridal shower or garden party. 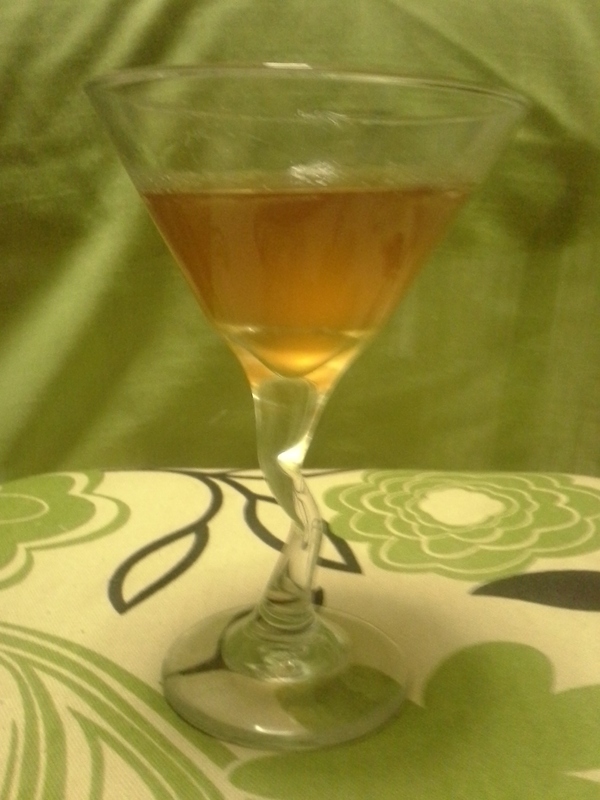 She used Goldschläger, I used cinnamon liqueur. Hers was white, mine was pink. She had vanilla vodka, I had tuaca. My version didn’t look a thing like her original, but was still sweet and yummy. Very much a dessert beverage. 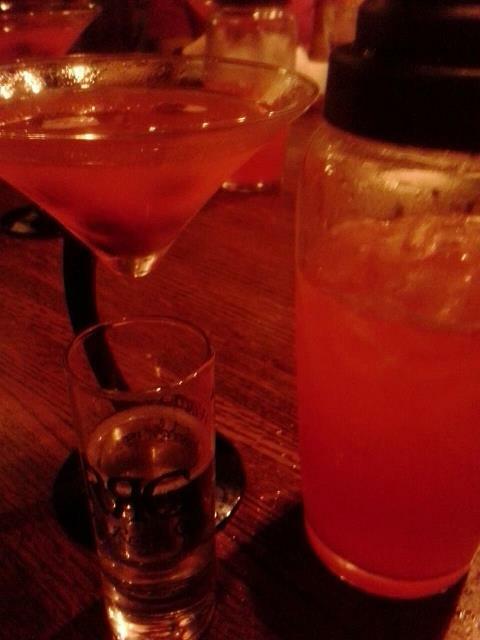 So there you have it–Happy Hour with the Weary Chef as told by deLizious and food for fun. I invite you to stop over at deLiz facebook page Friday afternoons for whatever Andi puts together next. Or start at Andi’s page and work your way over to mine. I remember posting a while back about wanting to expand my repertoire of fun and tasty cocktails and now as I write this, realize my goal is being met. Many thanks to Andi at TWC for helping me along. (Another rockin’ cocktail shout-out goes to Putney Farms for some of the most gorgeous sippers I’ve seen.) Cheers to all! Watching foodie TV (Foodography, the Cocktail episode) last night, I was intrigued by a mixologist who whipped up a batch of bacon bourbon. Both ingredients are favorites (as well as being extremely trendy right now), so I loved that someone thought to put them together. With molecular gastronomy all the rage, I envisioned bacon bourbon being a product of distillation involving beakers, siphons, gasses, and who knows what else. Wrong. It was a simple process involving only the two namesake ingredients–both of which I had on hand. I, too, could make bacon bourbon. Rendered bacon fat was already on my counter, left over from another recipe. (Though it would have been easy enough to fry up a few strips of fresh bacon if needed.) The other ingredient–bourbon–has been a staple in my pantry since a trip to Kentucky last year. The process, called “fat washing” (lovely, yes? ), is simply mixing hot bacon drippings with bourbon (1/3 cup drippings to 3 cups bourbon according to Bacon Today website), letting it cool, then refrigerating to solidify the fat. When chilled and separated, the larger fat chunks are removed. Finally, the bourbon is poured through a fine-mesh strainer to clarify. I also gave it a pass through cheesecloth as my fine-mesh strainer didn’t seem fine enough. I can’t drink bourbon straight, and the same goes for this beverage. It boasts all of bourbon’s raw power and strength, but also adds a layer of not-so-subtle smokiness. Soda water and an orange rind would make good partners, as would maple syrup. I’ve also found a recipe for a Bacon Old-Fashioned I’d like to try. But for now, I’m happy just to have my bottle of homemade bacon bourbon sitting on my counter, catching the sunlight and promising a lovely and warming cocktail as fall eventually gives way to winter. 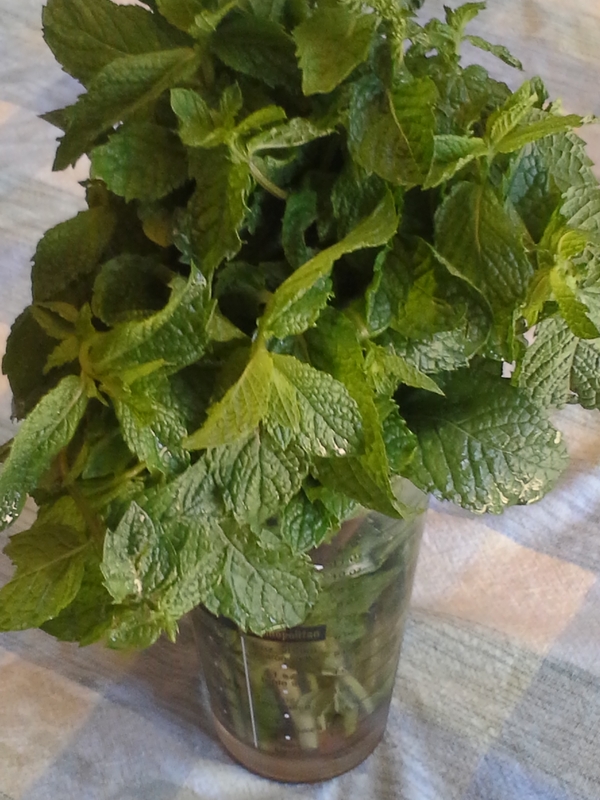 I didn’t plant mint this year (shame on me as it’s so easy to grow), but have been purchasing it often from farmers’ markets. The current batch, standing at attention whenever I open the refrigerator, demanded to be used today. 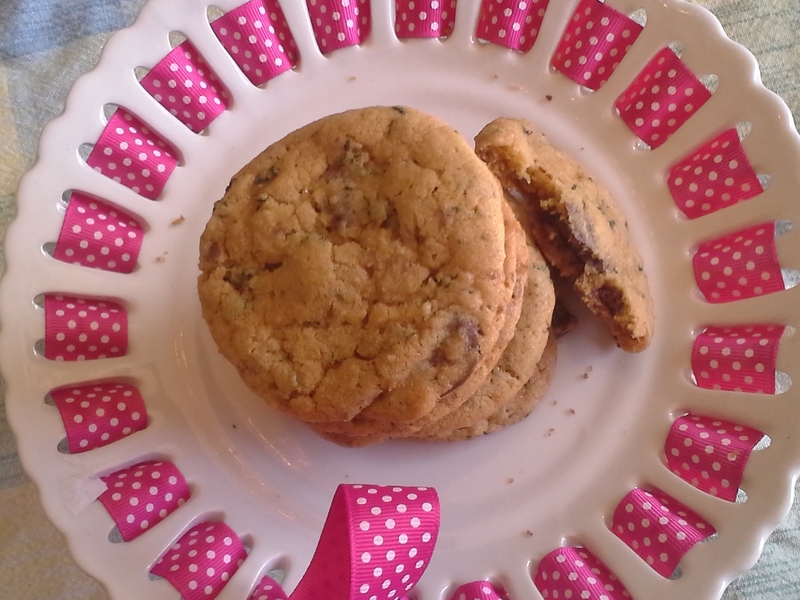 The cookies were delish–minty fresh, for sure. 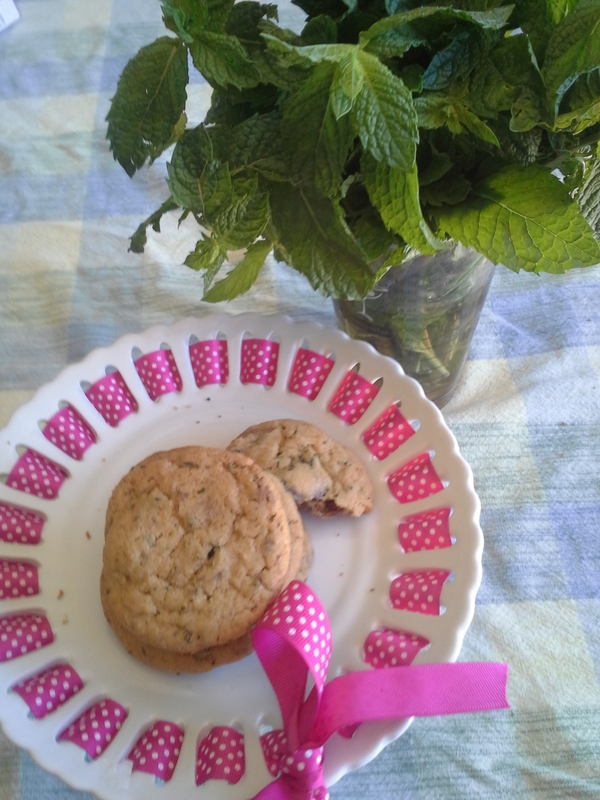 I’d maybe not pack the measuring cup so full with the fresh mint next go-round, though enjoying a cookie that doubles as a breath mint isn’t such a bad thing. 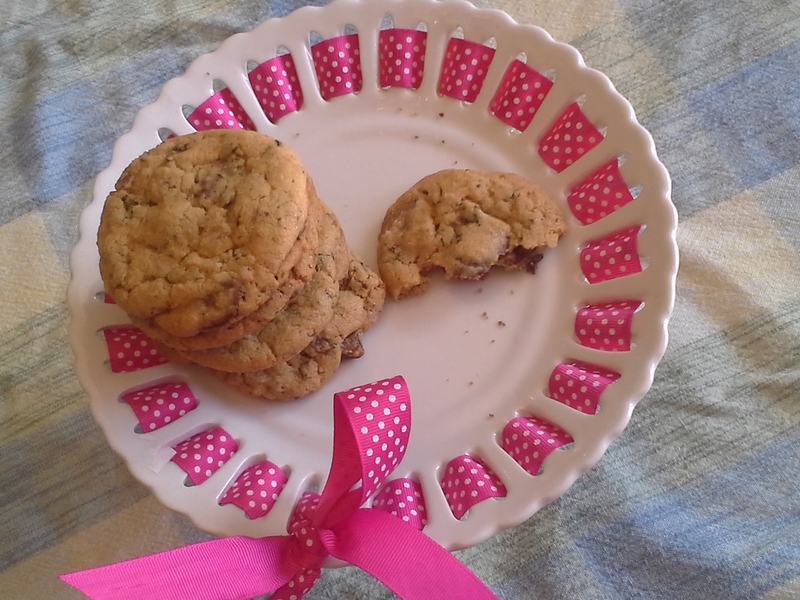 Adding the rum and using the rum wafers was a fun spin, but the cookies would be just as amazing using the vanilla extract originally called for as well as chocolate chunks or chips instead of the rum wafers. Heat oven to 350°F. Grease baking sheets or line baking sheets with Silpat® baking mats. In bowl, cream butter and sugars. Beat in egg and rum. 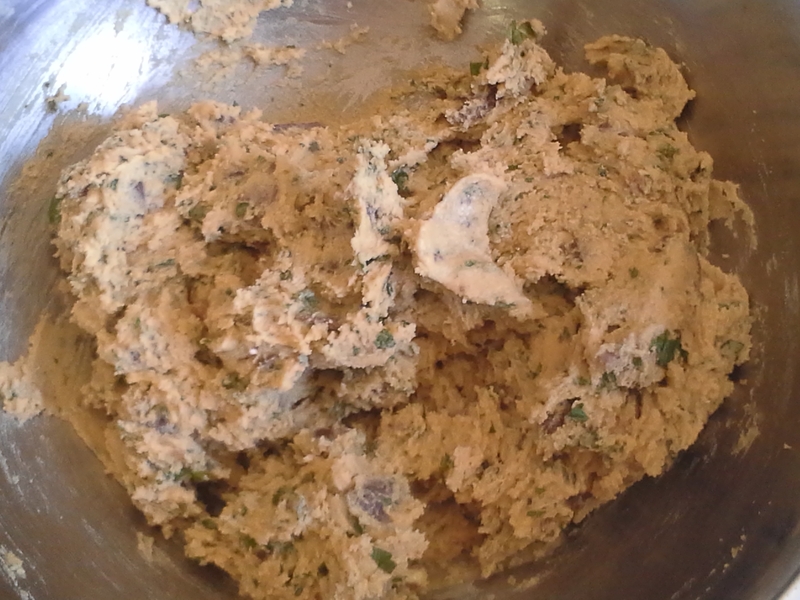 Gently stir in flour, salt and baking soda just until mixed. Gently stir in chocolate and mint. Drop dough onto baking sheets. Bake 12 to 14 minutes or until lightly browned. Makes 36 yummy cookies. It wasn’t too long ago that I was dealing with an overabundance of watermelon. Today, I came upon another way to enjoy this summertime favorite. Looking for Popsicles in the freezer, I spotted a bag of frozen watermelon cubes. How long they’d been there, I don’t know as I’m not good about dating frozen foods (though I know it’s smart to do so). But I figured it was time to move the watermelon out. My girls are fans of the slushies (slurpies?) sold at convenience stores; this frozen fruit was my ticket to a slushie/slurpie I could feel good about them drinking. The frozen watermelon cubes went into a plastic pitcher along with lemon juice, water, and a handful of sugar. I used my stick blender (love love love my stick blender) to puree, then played with water, lemon juice, and sugar amounts until the flavors balanced. I liked it ok, though neither of my daughters was overly excited about it. The texture was there, but the flavor seemed a bit flat. I let it go and stuck the pitcher away in the freezer. Later in the day, it hit me that lime juice was exactly what the watermelon puree needed. That extra layer of citrus really made a difference–the flavors were brilliant. 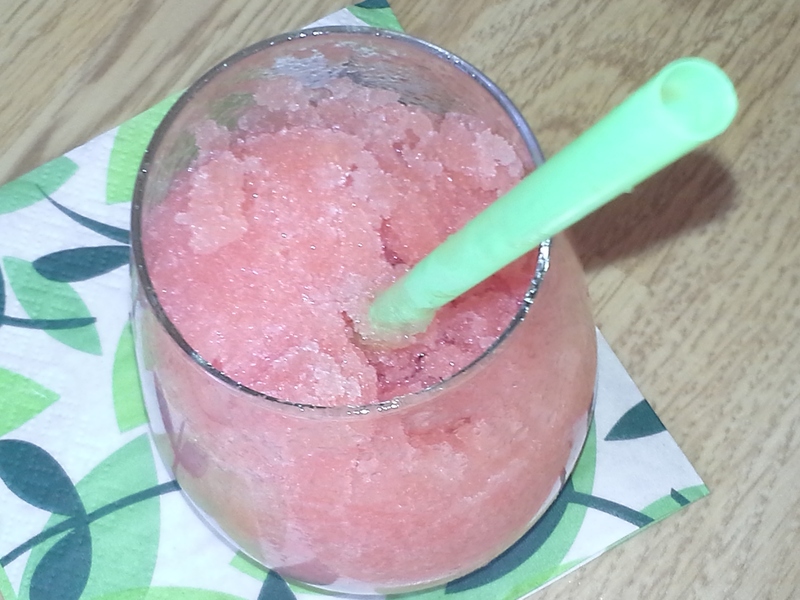 I’d bet that this watermelon slush would make a most excellent adult beverage mixed with vodka, rum, or gin. Tonight we kept it kid-friendly, though, and beat the heat with watermelon slushies/slurpies that were so much more than colored sugar water. 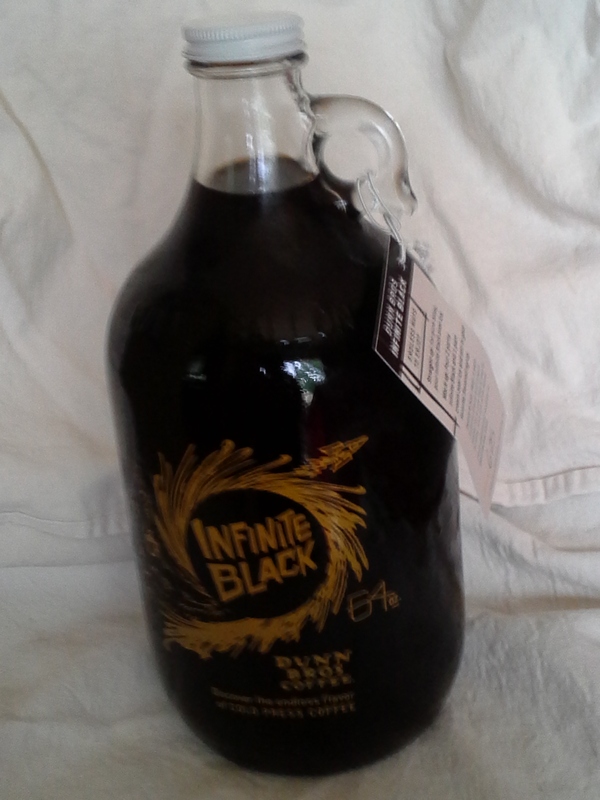 I finally succumbed to Dunn Bros. marketing for their Infinite Black cold press coffee growler. The thought of having their cold press anytime I wanted was a big sell. I also liked buying a growler for $14 and being able to refill for as long as it’s offered at $10 a pop. (I’m doing the environment a favor, yes?) When a coupon for $2 off a first-time purchase appeared in the mail, there was no stopping me. My favorite way to drink this intense and robust coffee is cut with water (about 3 parts coffee to 1 part water), sweetened, and kissed with a bit of cream (ok, fat-free half-and-half, though cream would taste even better). 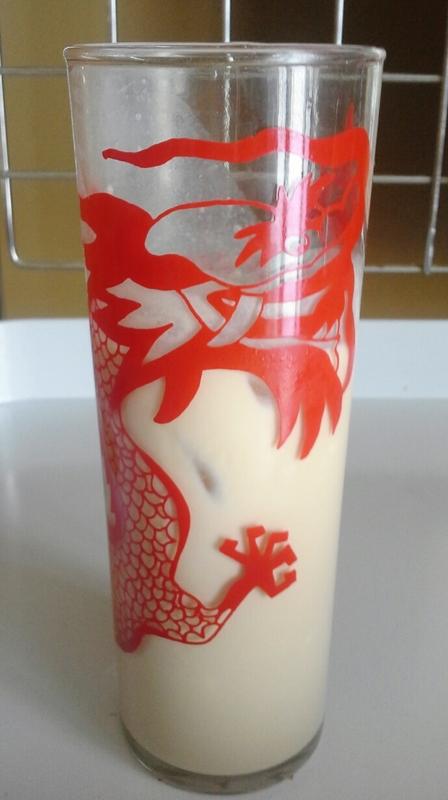 It’s amazing over ice, but also good hot–just the thing to kickstart a chilly morn. When I purchased my growler, the man behind the counter encouraged me to check out the Dunn Bros. website for drink recipes. There are a handful–some cold, some hot–and what looked like most fun was the Adults Only section. 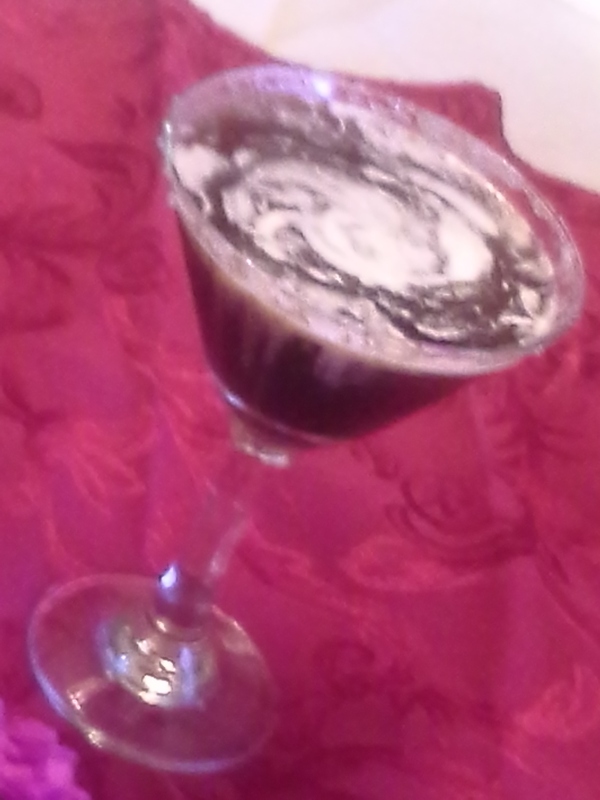 I’ve given Caribbean Martini, Nutty Morgan (used coconut rum instead of spiced), and Killer Vanilla Coffee (whipped cream vodka and a dash of vanilla instead of the vanilla vodka) a whirl and they were tasty, but not phenomenally so. 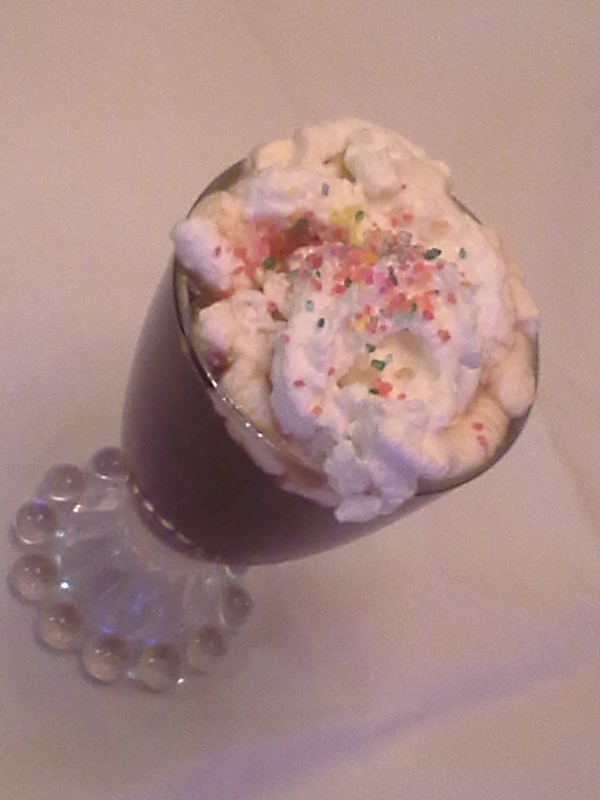 All were plenty potent, though, combining caffeine AND alcohol–sippers rather than sluggers. The recipes on the site might be a good springboard, but coffee-loving folks would do just as well mixing up their own cocktail/mocktail combos. Stirring a touch of nearly any liqueur or spirit into the cold press coffee would promise deliciousness. 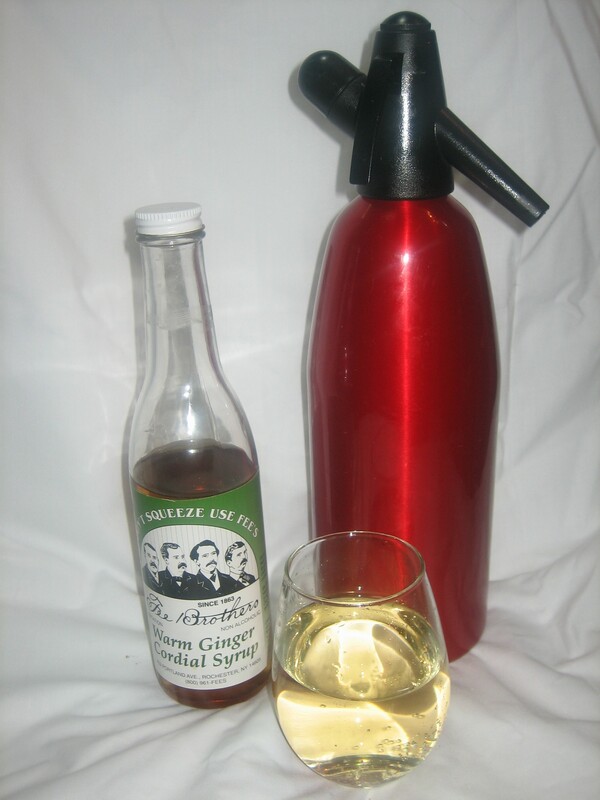 Non-alcoholic stir-ins–syrups, creamers, spices (simmering with a cinnamon stick, for one)–would be fun to try, too. Topping any of them with whipped cream won’t hurt either. Refreshing, invigorating, fun. With a refillable cold press growler, I’m good on all counts. My husband and I traveled to Kentucky last fall for a family wedding. The bride and groom had stars in their eyes for each other, but I fell in love with bourbon. The process by which this spirit is made fascinates me and I enjoy its distinctive flavor. I still can’t drink it straight, but a bourbon-and-soda rocks my world. I also enjoy cooking and baking with this American spirit. For my last birthday, I made myself a chocolate bourbon layer cake (yum) and I’ve also made Ranting Chef’s bourbon chicken (again, yum). I made Angel’s Share biscuits for Thanksgiving and went through at least four batches of bourbon balls before deciding on the “perfect” recipe. If you’ve been reading foodforfun, you know that I recently got my ice-cream “soccer ball” out to whip up some homemade ice cream for my daughter’s birthday party. After the first batch, I refilled the ball for another, but we never got around to making it. Too many party games to play. Never one to let food spoil (also never one to waste potential for homemade ice cream), I took it upon myself to chase the ball around the backyard the other day. Half-an-hour of kicking a bright blue, plastic ball around trees, a sandbox, and a swing set must have set our neighbors wondering. I stuck it out, though. I go to great lengths for good food. While refreshing the ice and rock salt, I considered that this was my chance to make the ice cream mine. What could I add to make it worth my solo effort? If you’ve been paying attention, you know that I added bourbon (just 2 or so tablespoons) to the nearly frozen cream mixture. Why not? In the end, I had myself a boozy frozen treat. The alcohol lowers the freezing point of the mixture, so the final ice cream was softer than it would’ve been without the booze. No complaints from me, though. 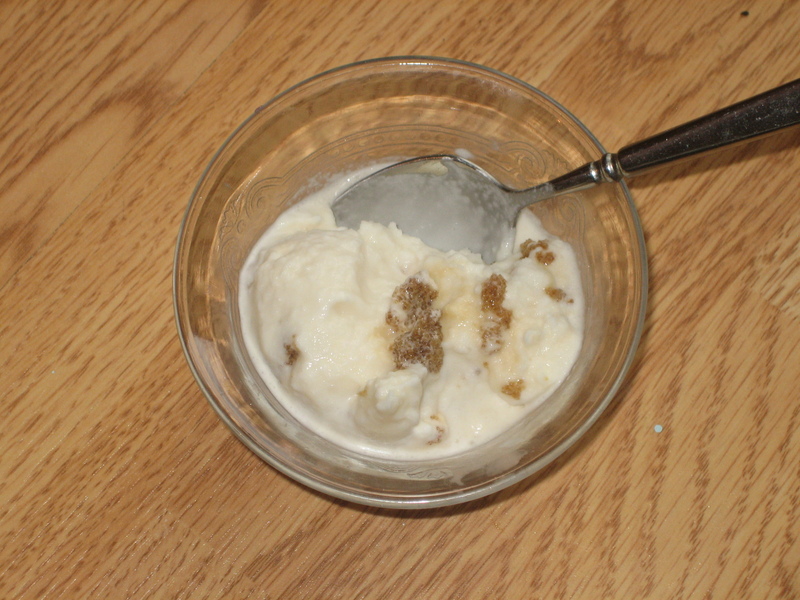 Once the ice cream was transferred to a storage container, I stirred in a bit of sea salt and a few clumps of brown sugar. It was extremely pretty and also plenty tasty. And because I can’t feed it to my kids (no chance for the alcohol to bake or cook out), I only have to share it with my husband! A batch of homemade ice cream wasn’t enough to satisfy the sweets craving in our house, so last night found me making chocolate chip cookies. After baking up three pans worth (about 3/4 of the dough), I saw a bourbon bottle on the counter. Again, why not? I added 2 teaspoons bourbon to what was left of the dough, which made it just a bit moister. 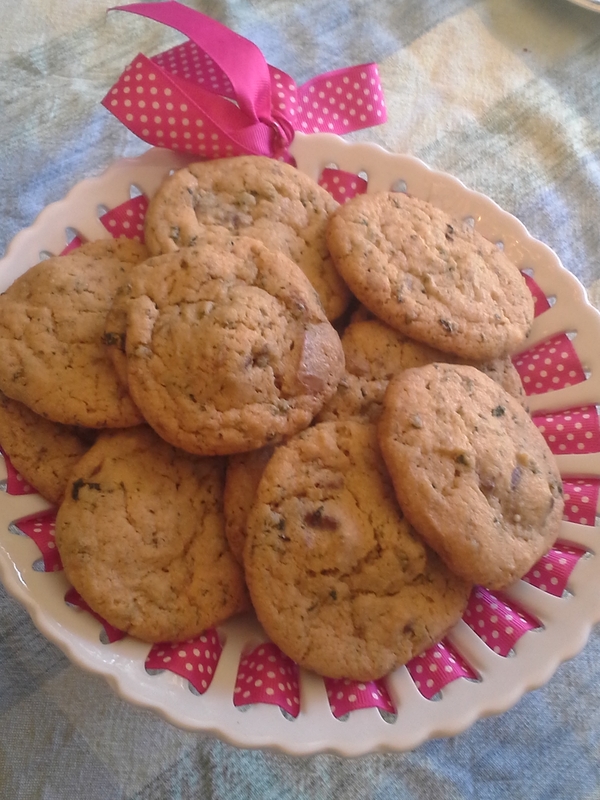 The cookies baked up slightly browner than the others and had a definite hint of bourbon. I’d definitely add bourbon (2 tablespoons or so to a batch) to cookie dough again. 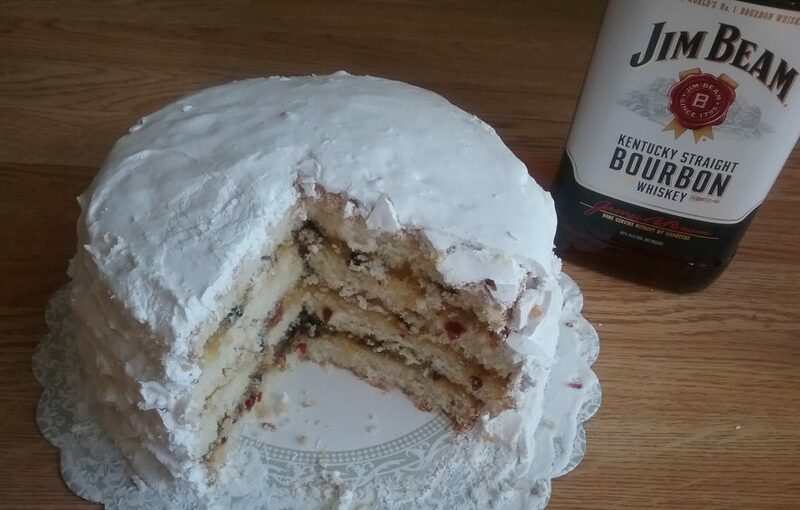 If you have bourbon baking or cooking stories, please pass them on. I’d love more recipes that use this bold spirit. One of my favorite thrift store finds is a book titled Hollywood Cocktails. This fun read reviews movies from the 1930s through the very early 1960s, the days of Greta Garbo, Humphrey Bogart, Elizabeth Taylor, Claudette Colbert. I’ve only watched a few of these films and I enjoy their class. No violent weapons, no prolific vulgarity–just pretty people in gorgeous clothes with witty dialogue. Hollywood Cocktails makes the point that the characters in these films usually have a drink in their hands as they go about their business. The book offers 70 recipes for classic cocktails (or “debonair drinks” according to the jacket copy), each tied to a specific film. Casablanca showcases Champagne Cocktail as well as Singapore Sling. 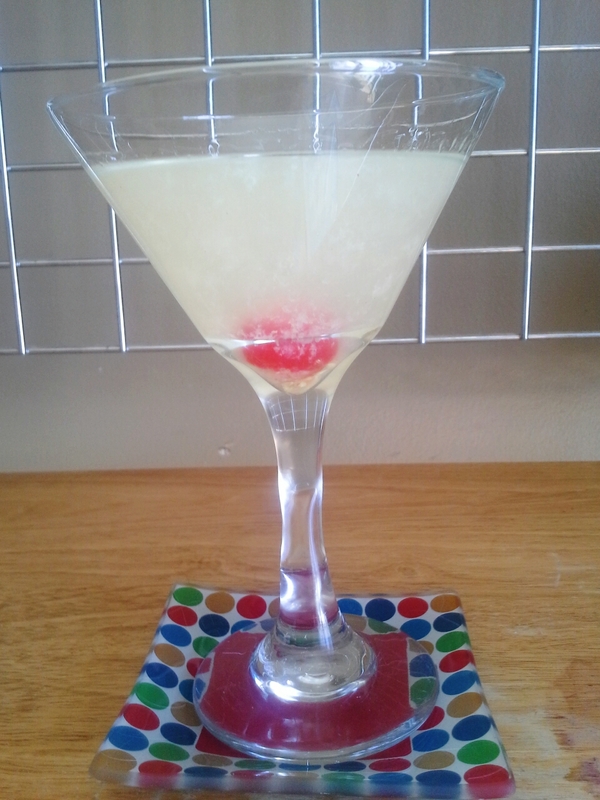 It Happened One Night offers a recipe for The White Lady (gin, lemon juice, triple sec, egg white). 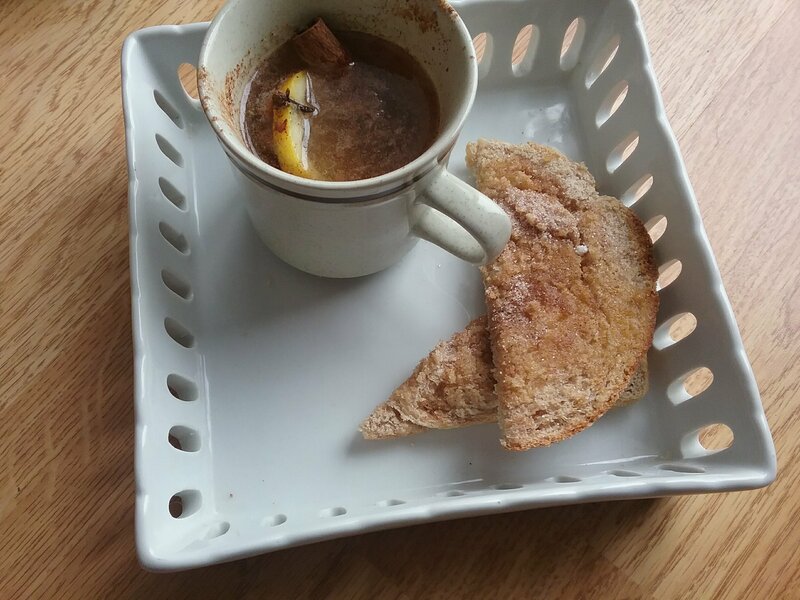 Cat on a Hot Tin Roof: Hot Toddy. I enjoy the book for its movie reviews, photos (black and white, of course), and quotes. 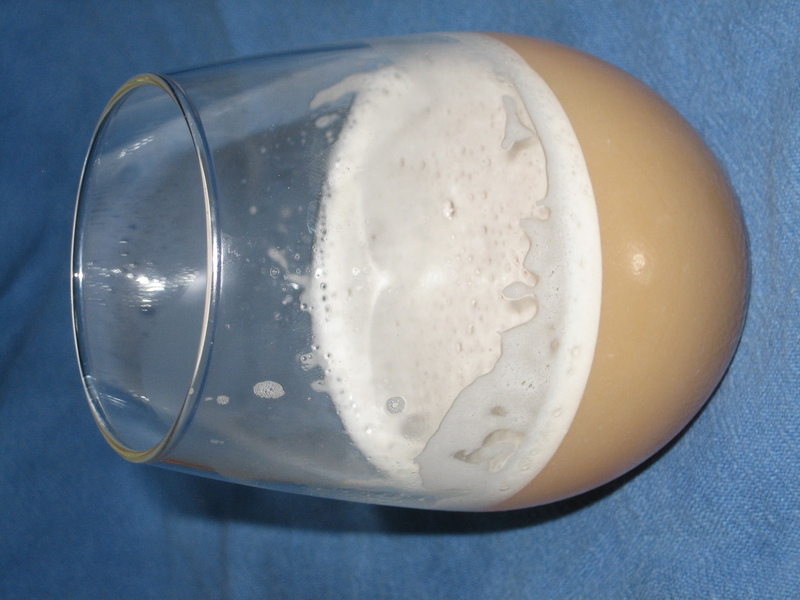 I’m also happy to have a good collection of classic cocktail recipes in one place. It’s a fun cover-to-cover read, but also a handy companion piece for movie watching. Think of the movie-and-a-cocktail parties that could be thrown! Tonight I had bourbon on my mind, so turned to the review for Marilyn Monroe’s The Seven Year Itch and its Whiskey Sour recipe. 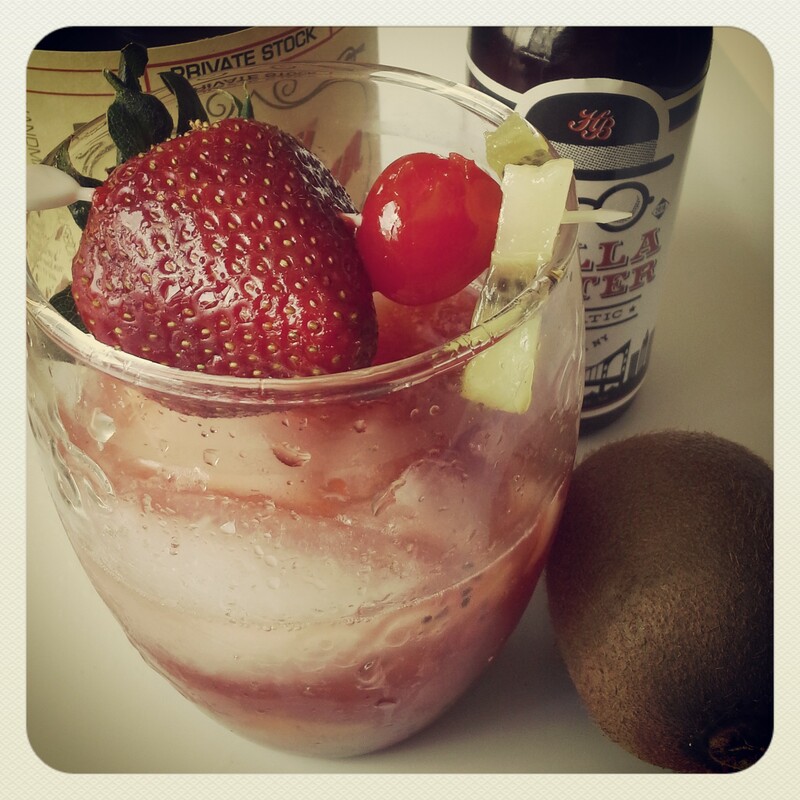 I threw one together and found it refreshing with just the right sweet-sour balance. I loved the frothy egg white crown, too. It was fun to sip a classy cocktail at the end of the day with my husband. We may not be as glamorous as the movie stars of years past, but we still enjoyed a taste of that glamor. In cocktail shaker, combine all ingredients. Add ice; shake vigorously. Strain into glass. Makes 1 cocktail. This morning did not go well. I woke up with a piercing headache. My youngest refused to eat breakfast and spent her energies torturing her big sister. Even after the girls were off to daycare and school, I couldn’t seem to turn my mood around. It took a kickbox class, dancing with my youngest as we waited for her bus, and a comfort-food lunch of leftover risotto to start things moving upward. After that carb-laden lunch, I threw myself into an editing project and didn’t come up for air until later in the afternoon. It was then that I remembered the Blackberry Brandy. A few months back, I’d found myself with a surfeit of blackberries. 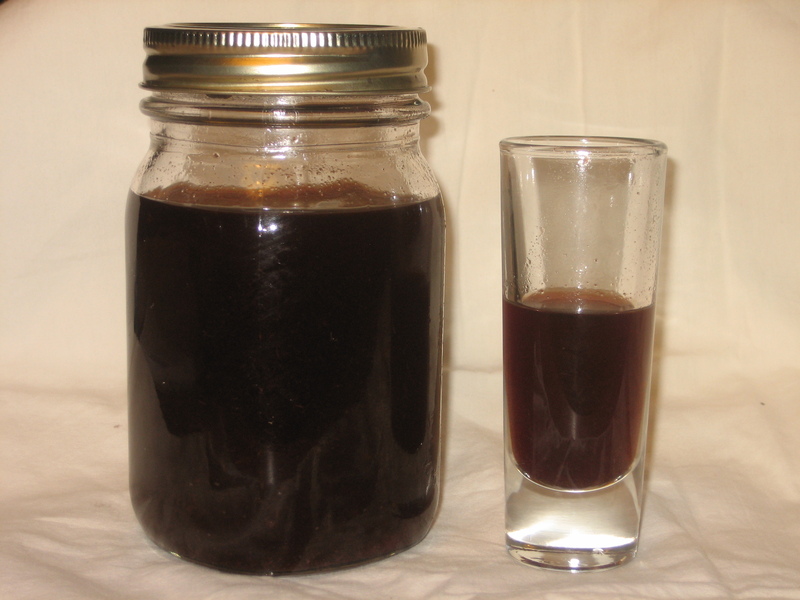 After making as many blackberry scones and cakes and muffins as I could stand, I had come upon a recipe for blackberry brandy. Having made crabapple liqueur last summer, I was ready to tackle another homemade spirit. Combining blackberries, brandy, sugar, and spice in a canning jar had been easy enough. The jar needed to be flipped every day for a week to dissolve the sugar, then it was set in a dark pantry closet. Its mid-March “open date” was recorded on my calendar, but today seemed the day for its unveiling. I’d survived the morning, then worked solid through the afternoon. Opening the brandy would be my reward. I strained it as directed in the recipe (tried a few macerated blackberries while I was at it–wowza), then poured a bit into a small glass for tasting. Its color was rich and gorgeous; the flavor warm, sweet, and spicy. Because it is so sweet, it would be easier to drink cut with soda water. 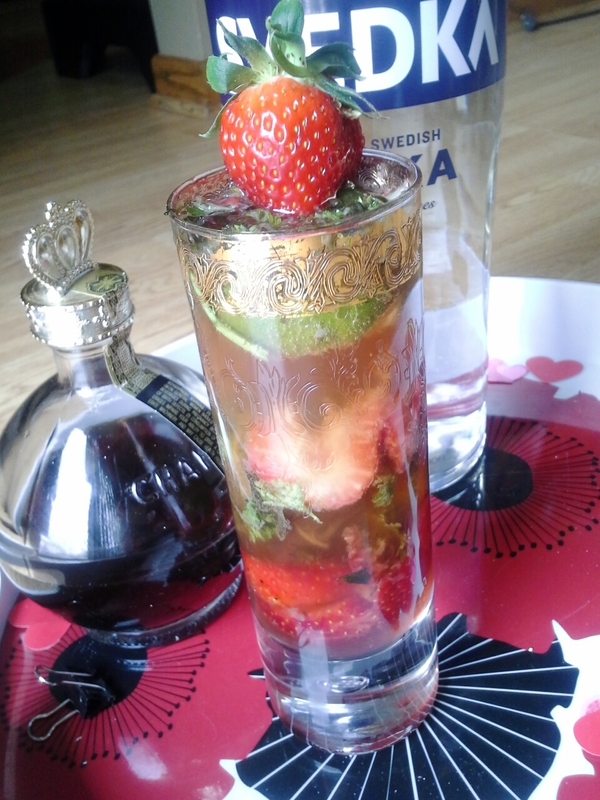 I also might try it with a hit of lime juice or muddled with fresh mint. Just thinking through the many cocktails I could make should brighten any gray days ahead. In gallon screwtop jar, mix all ingredients; cover tightly. Invert jar. Let it stand 24 hours. Turn jar upright; let stand another 24 hours. Repeat process until all sugar is dissolved. Store in cool, dark place at least 2 months. Strain through cheesecloth into storage container. Yesterday, I escaped suburbia and had a blast doing it. Large cities invigorate me. The air seems charged somehow. I breathe deeper, my blood flows stronger–cliches, yes, but everything is more alive. My life in the ‘burbs is a good one and there are solid reasons I live where I do. Just the same, when I have a chance to go urban, I grab it. Which is why I was happy to join a friend for lunch at Eat Street Social. This stylish spot, just two-weeks young, was too hip for signs, so it took me a while to figure out exactly where it was. 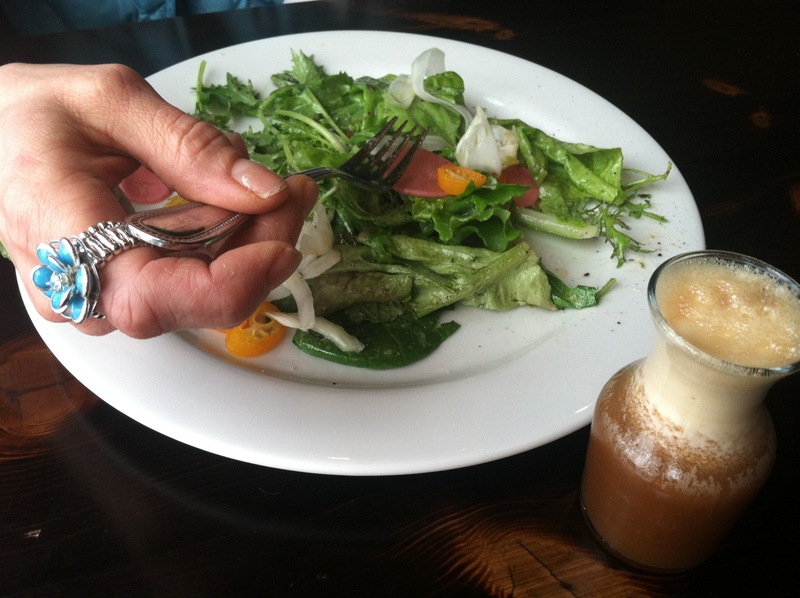 Once I (finally) found the door, I sat in the darkly paneled dining room and ordered a salad (greens, pickled radishes, sliced kumquat) and grilled turkey sandwich. The sandwich was decent enough, but Jen’s burger beat it for taste. My favorite “dish” was the cocktail. I had recently seen the Copper Dagger reviewed and knew I had to try it. Ingredients: verna Amaro, Lemon Hart 151, St. Germain, lemon, and egg white. While I don’t know much about the first three spirits (though had just read about each in Boozehound), the drink seemed sophisticated and I liked the idea of frothy egg white crowning my cocktail. The Copper Dagger was fantastic. My dessert–chocolate-olive oil cake–had a slew of lovely and tasty garnishes: salted Marcona almonds, coffee ice cream, vanilla syrup, and a terrific buttercream, but the cake itself was a touch dry and try as I might, I couldn’t detect the olive oil. Walking back to my car, I passed Truong Thanh, a Vietnamese grocery. Remembering that I needed fish sauce, I added the shop to my itinerary. Ethnic grocery stores thrill me–strange packages with wording I can’t read; unfamiliar produce, meat, and dairy; foreign cooking equipment and serving dishes. 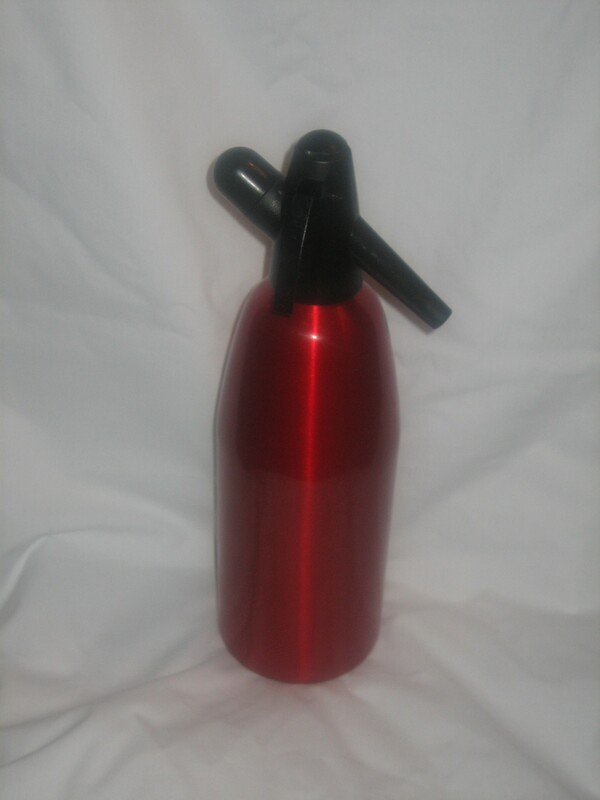 I love walking the crowed aisles trying to decipher products, even if just by photo. 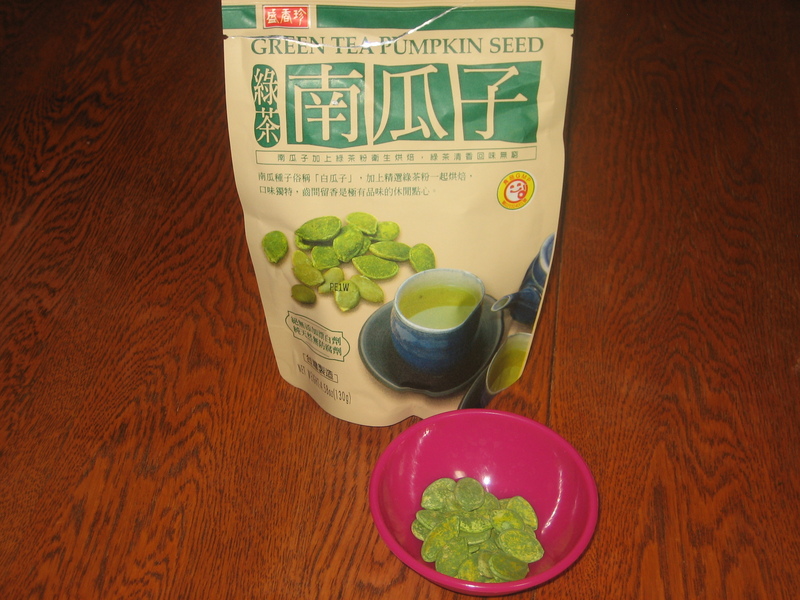 I eventually selected a fish sauce, but also found green tea pumpkin seeds, a strainer skimmer, ginger candies (the same brand my daughter enjoys at half the price I usually pay), and lemongrass. At check-out, I struck up a delightful conversation with the owner, a tiny older woman, about acupuncture and Chinese herbs. Making this connection was fun and amazing; who sees–much less chit-chats with–the owner of a local Costco? Another reason the city brought me to life. 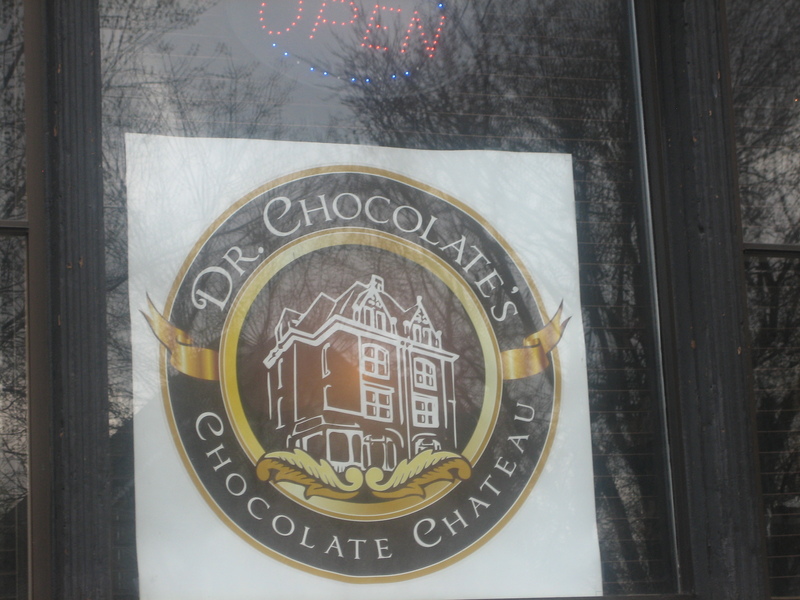 My last stop was Rye Delicatessen–a much talked-about and reviewed new eatery in Minneapolis. There’s been so much hype (it’s amazing, it’s rotten, everything in between), I wanted my own take on it. 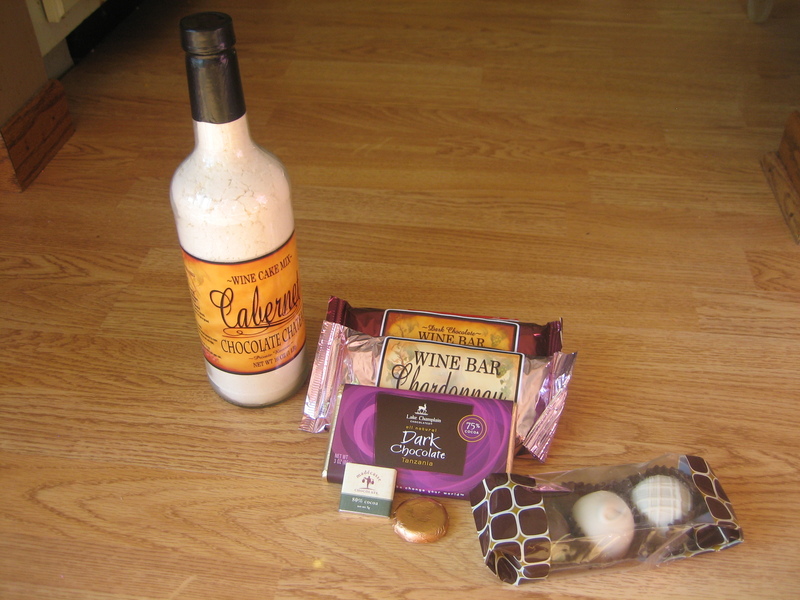 Filling a brown bag with goodies (black-and-white cookie, ruglach, sour cream and bacon knish, day-old bialy), I tried it all and concluded it was indeed good stuff–amazingly buttery would be my overall descriptor. But I also decided that Jewish deli food isn’t my thing–too heavy. My mission completed, I found the freeway and flew home in time to get my girls off the school bus. I’d enjoyed a great foodie escape and look forward to the next. Mixed greens and my Copper Dagger sidecar at Eat Street Social. My favorite food moment today wasn’t anything actually consumed. Don’t remember breakfast. 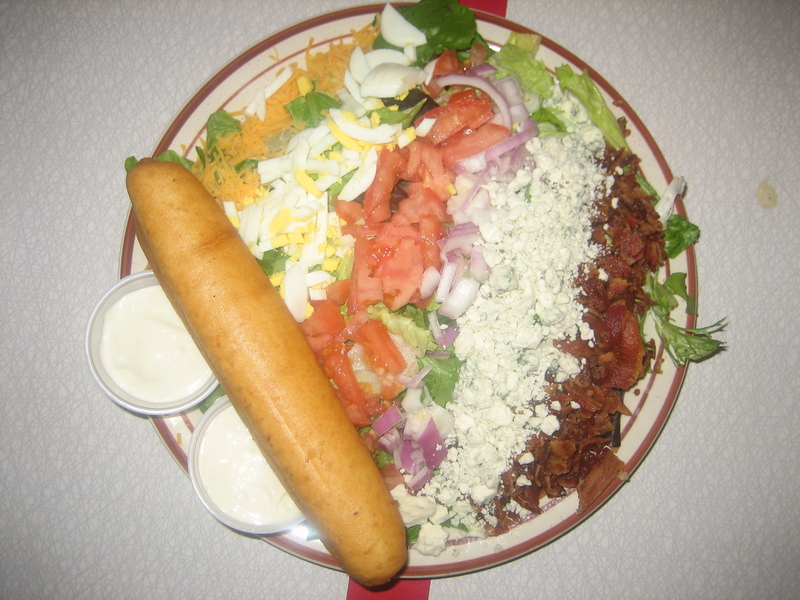 Enjoyed leftover salad for lunch. Supper was leftover veggie burger (made a batch the other night and, not surprisingly, found I was the only one who liked them) on a leftover naan from yesterday’s lunch. Seems today was about leftovers. Instead, let’s talk books. Since always, I’ve enjoyed reading pretty much everything. At a Girl Scout lock-in (age 12ish? ), I remember reading the tag on my sleeping bag. I’ve turned kleenex boxes over to read labels. I like to read. True, some genres don’t excite me–no longer enjoy horror stories and most science fiction. And the paperback romances only worked when I was 16. But I enjoy great variety in my reading. Fiction and non. Food, physics (Brian Greene and Lisa Randall), history (usually food-related), business, biographies–it’s all good. On the beverage front, am now reading Boozehound: On the Trail of the Rare, the Obscure, and the Overrated in Spirits by Jason Wilson. 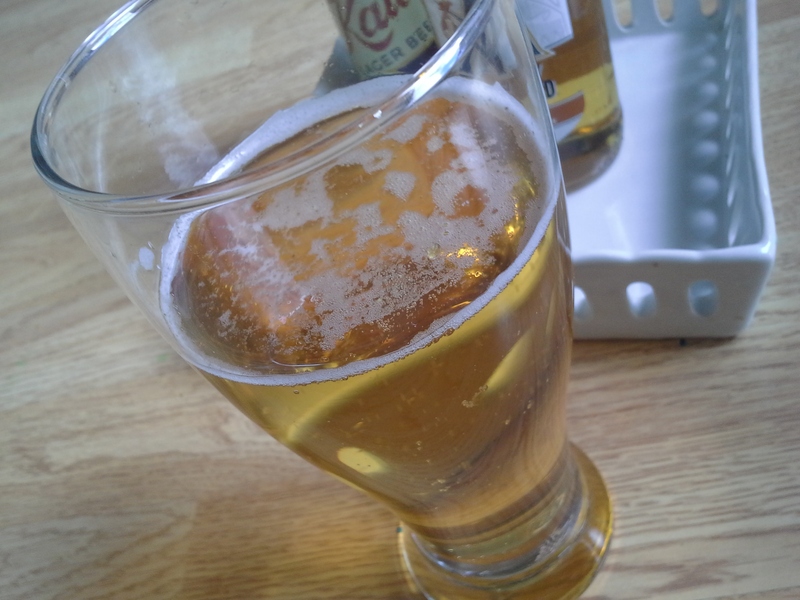 While not a big drinker, I find alcoholic beverages fascinating. Spirits are ingredients, each with its own flavor and nuance. There’s a lot to learn. Boozehound is well-written, amusing, and informative. It has me thinking about what flavors I like and what those flavors bring me back to. As with food, the flavor of a drink is more than just what the taste buds experience. The pink squirrel–an old-school ladies drink (it’s shockingly pink, for heaven’s sake)–is a favorite cocktail. My mother-in-law first introduced me to it at a supper clubbish restaurant and I was immediately enamored. 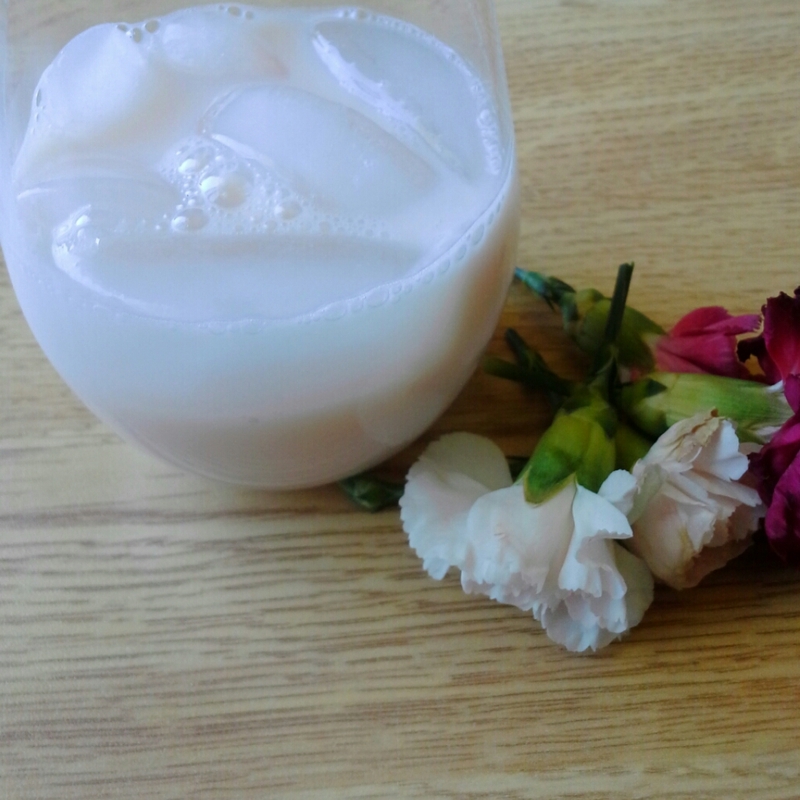 It was so pink and so sweet, but also well balanced. 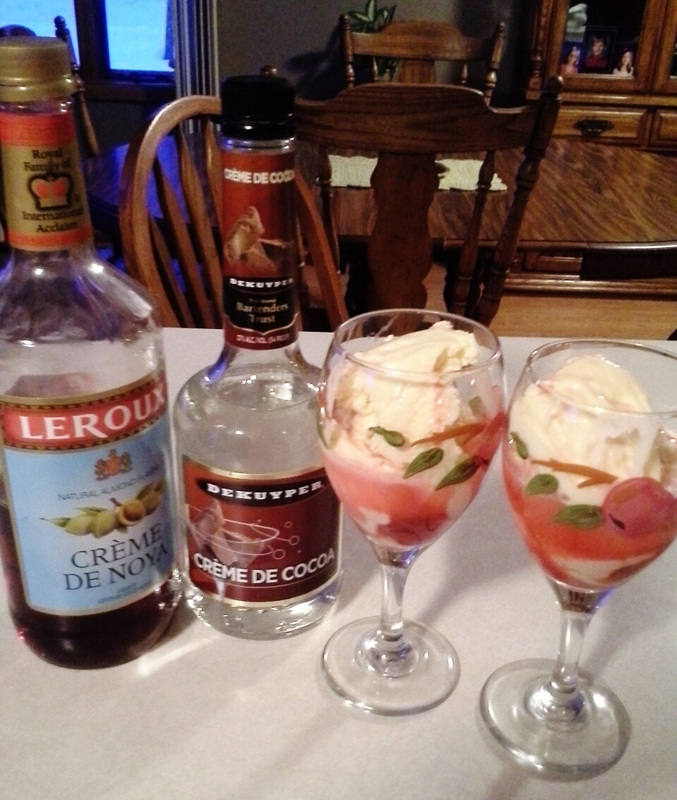 It’s creamy and has a bit of complexity thanks to creme de noyeaux–a sweet red liqueur made from apricot kernels. Amaretto is a fair substitute, but the drink will lack that certain something. Hunt it down if you want the real pink squirrel. It’s a delightful drink and I smile just picturing it in all its shockingly pink glory. Stir ingredients together with ice; strain to drink.